The Cobalt® 9902-UDX-DSP 3G/HD/SD-SDI Up-Down-Cross Converter / Frame Sync / Audio Embed/De-Embed with DSP Audio Options Support provides a high-density card-based solution that offers unprecedented multi-input support and flexibility. 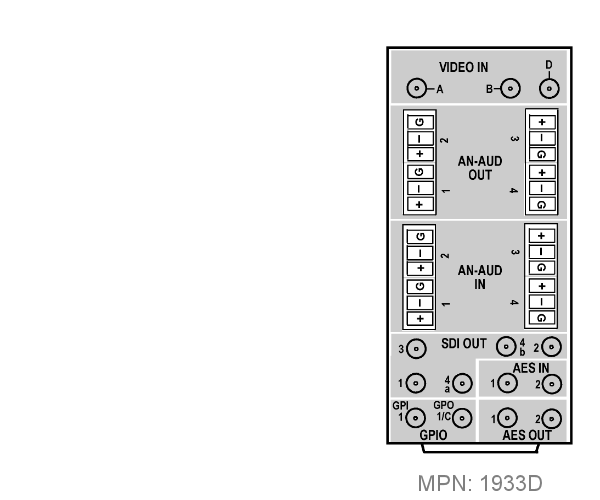 The 9902-UDX-DSP offers a DSP-based platform that supports multiple audio DSP options. When optioned with various audio processing options, the DSP-based processing core (which supports numerous simultaneous processing engines) uses license “credits” which allows flexible tailoring of multiple proc function instances. 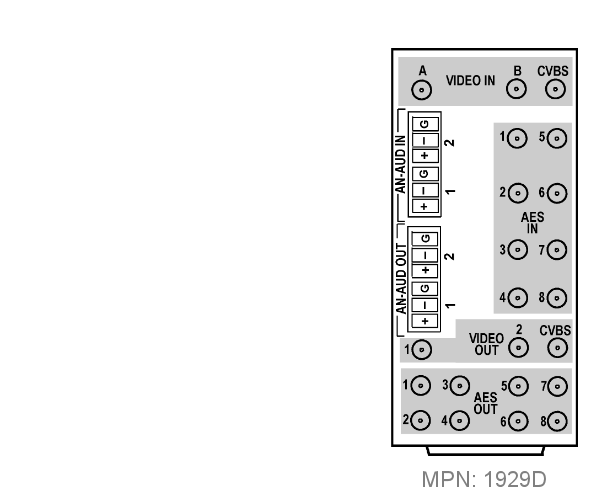 The 9902-UDX-DSP provides much more flexibility than other audio processors that used fixed processing assets (for example, this flexibility allows “trading” credits for more Dolby encoders while backing out of loudness processors or other engine assets). The up/down/cross convert scaler is specifically designed for broadcast video progressive and interlaced formats, with full ARC control suitable for conversions to or from 4:3 and 16:9 aspect ratios. 3:2 pulldown optimization allows A-frame to use alignment correlated to received timecode or 6 Hz external input over GPI. AFD processing can detect an incoming AFD code and correspondingly set scaling to track with AFD. 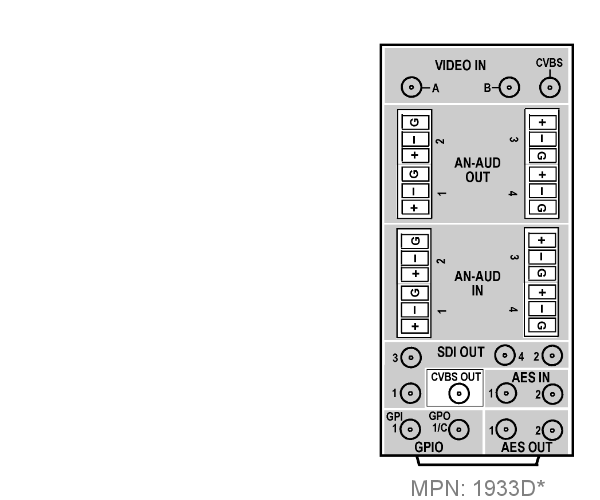 The 9902-UDX-DSP also provides analog CVBS video inputs and outputs, and AES/analog audio embedding and de-embedding. Audio proc options include Dolby® Real-Time Loudness Leveling automatic loudness processing, Dolby® encode/decode, and Linear Acoustic® UPMAX™ automatic upmixing. 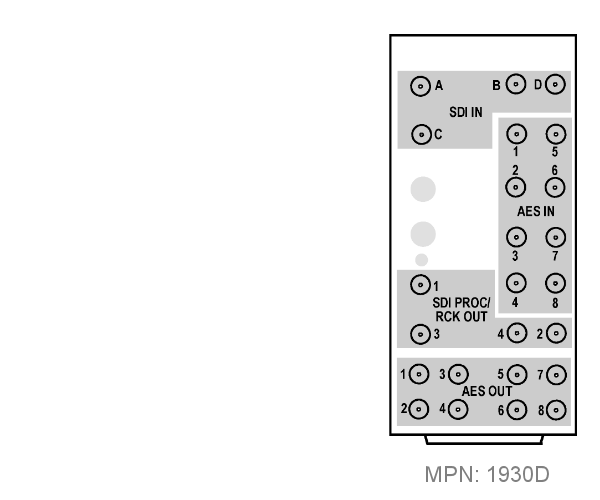 DSP options can be ordered with new-card purchase, or field-installed as software option upgrades without removing the card from its frame. Included as standard features are downmixing, flex mixing, and full AES and balanced analog audio embed/de-embed. Also included standard is bulk and per-channel audio delay controls that easily address lip-sync issues. Option +TTS provides high-quality Text-To-Speech synthesis, directly converting EAS text to digital audio speech with no baseband signal breakouts or add-ons. Quality Check option +QC checks for and acts upon user-configurable criteria such as black/frozen frame, audio silence or CC absence. 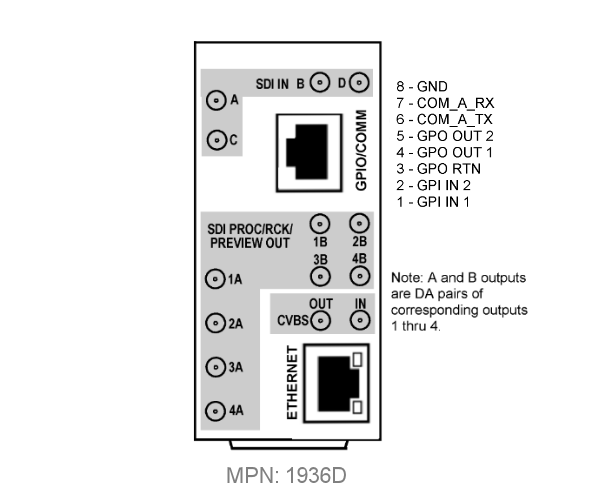 The 9902-UDX-DSP is also available in stand-alone form factor BBG-1002-UDX-DSP. Moving-box/motion insertion enable serves as a dynamic raster confidence check even in cases where the input video image is static. Dual-string character/timecode burn-in. 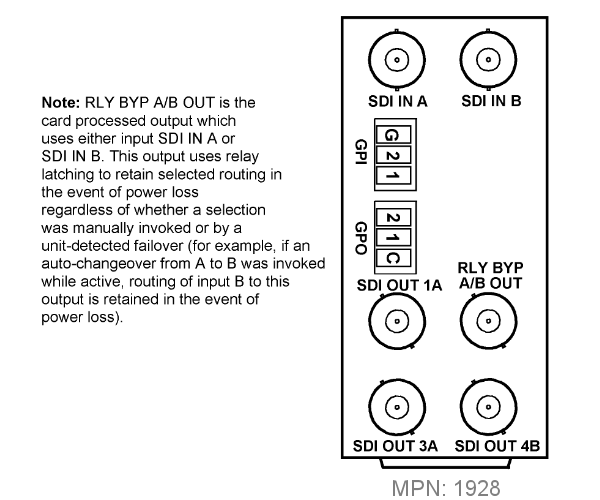 Dolby® Decoder Options (+DSP-DEC) – Provides Dolby Digital, Digital Plus, and E Decode. Linear Acoustic® UPMAX™ Upmixing (+DSP-UPMIX-LA) – Provides automatic 2.0-to-5.1 Linear Acoustic® UPMAX™ upmixing. 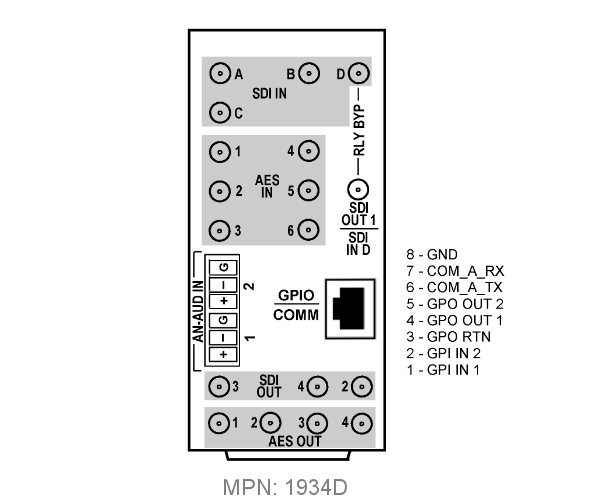 Ancillary Data Processor Option (+ANC) – Provides full user VANC/HANC packet insertion/extraction access to DID/SDID ancillary data, with insert/extract to and from IP and GPIO external interfaces. (1) 75Ω BNC output. 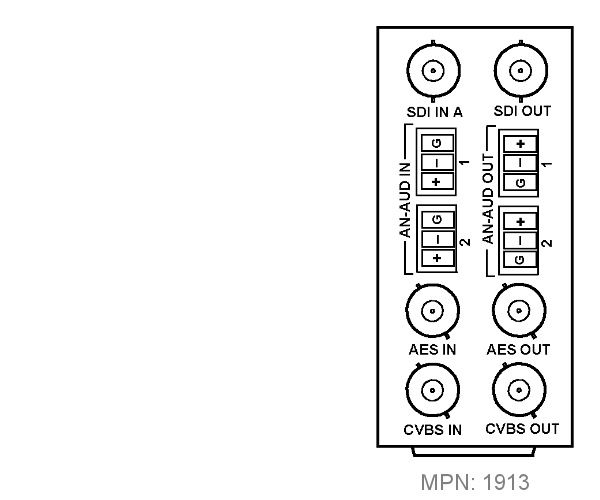 CVBS can be upconverted to any supported SDI format; all inputs can be downconverted to CVBS. ARC manually configurable (custom) or automatic triggering in full compliance/conformity with AFD (SMPTE 2016), VI (RP186), and WSS triggering. 48 kHz sampling, 24-bit. Auto-SRC bypass for Dolby inputs. 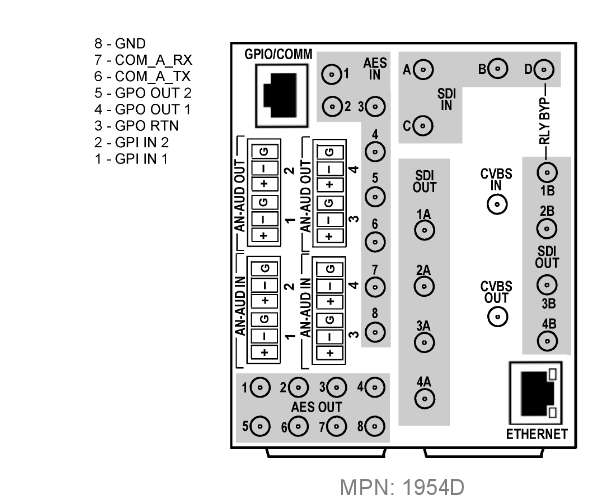 Analog audio I/O conforms to +24 dBu 0 dBFS. 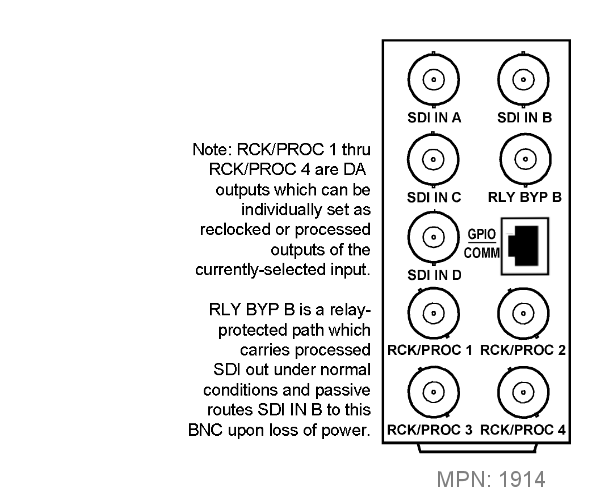 You are currently requesting a quote for 9902-UDX-DSP.